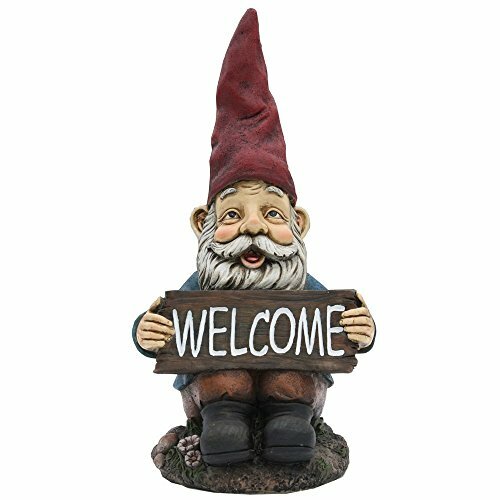 14" Garden Gnome & Welcome Sign: Quality Garden and Patio Decor | Fountain City Art Ctr. This garden gnome is a great way to bring a little luck into your garden. Made of durable cast resin, this handmade garden statue will last you years of use. Finished in a full color finish, this garden gnome is a great addition to any outdoor setting.